…and all the other roles you inhabited so magnificently on stage, screen, and in your own remarkable life? It’s your birthday. Today is the 129th anniversary of your birth, November 10, 1889. Happy birthday! 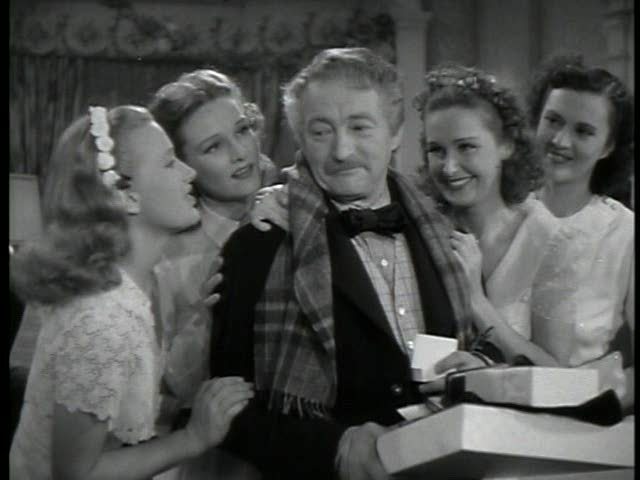 I hope the afterlife has fabulous birthday parties, and that you’re celebrating with all your old friends and colleagues: your acting pupils, Gielgud and Laughton; your friends from the West End, Noel Coward and James Whale; writers you worked with, like George Bernard Shaw, and directors like Michael Curtiz…and of course the ladies?lots of ladies. Not sure if you’d invite your ex-wives, but naturally you will be celebrating with your great love, Rosemary, who left you bereaved in 1964, three years before you joined her. You contain multitudes. 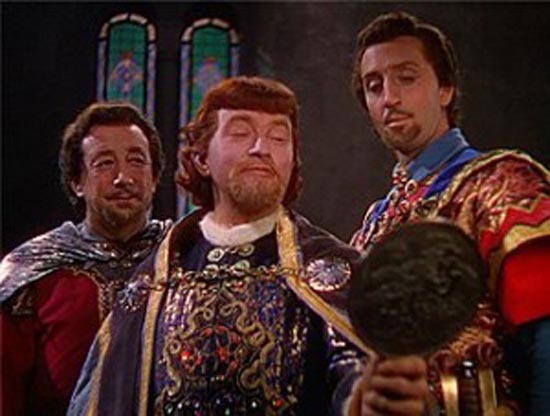 All great actors do, especially character actors. You are never less than utterly convincing in every kind of role and movie, but your own fire and intelligence, your own fine intensity, are always present in that amazing gallery of portraits. I have loved you for a long time, along with legions of fans winding back through the decades, spooling through your films and long before and after that through all your stage appearances in London New York, starting when you were only 10 years old. Unlike with some of my other dead boyfriends, there was no Aha! moment watching you in a particular role when I suddenly realized you had my heart. Maybe that’s because you were present in so many wonderful films of the ’30s and ’40s that you sneaked up on me before I even thought about it. Pretty sure our first encounter was Casablanca, where, surrounded by an incredible Warner Bros. dream cast, you came close to walking away with the film in your pocket. Captain Renault is your calling card, the one you will be forever remembered as, just as Frank Morgan is indelibly the wizard of Oz, no matter his long list of other distinguished performances. Your Renault is an irresistible survivor: cheerfully corrupt, unapologetically self-interested, and always on the make. His sexual exploitation of pretty women desperate for exit visas may in our time prove to be his least excusable offense, but I think Renault will probably weather even that. Casablanca will always be with us. But here you are, 129 and still devastating. 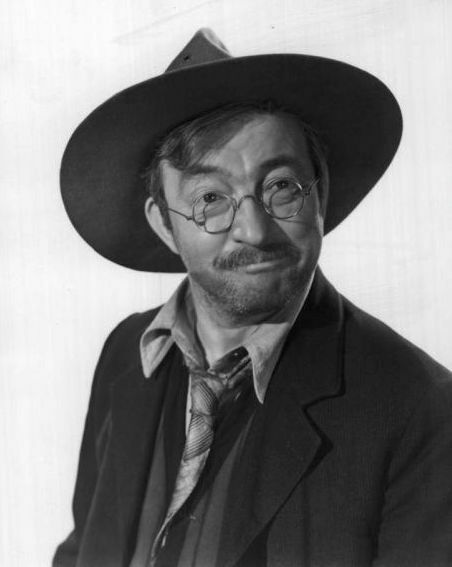 ?I’ve been watching your movies and reading David Skal’s biography, Claude Rains: An Actor’s Voice, which so evocatively conjures your childhood in a series of poor London neighborhoods in the 1890s. Your father, Frederick, was a grandiose failure, an occasional actor, singer, and songwriter. You survived, one of only three children (and the only son) to do so among the 10 your loving, mentally unstable mother, Emily, brought into this world. She did her best to shield you from the harshness your old man lavished on his only son. Imagining you as a child in those tough streets, restlessly looking for a way to do more than survive, has made me love you more than ever. I had heard a little about your childhood speech impediments, how you called yourself “Willie Wains”?the Ws for Rs, the stutter, the Cockney accent so thick that your only child, your beloved daughter, Jessica, said she could not understand you when you sang the Cockney songs of your childhood, that it was like you became a different person. But what was the mysterious force that drove you? Aside from hunger, I mean, and the constant awareness of how precarious your family’s position was. The first spark for what became your stellar theatrical career was when you left your job selling newspapers to follow a boy to the church where he sang in the choir, lured by the glamour of his costume, and got yourself a spot in that choir (and your own costume!). Which led, eventually, to your first appearance onstage, then to a job as a theater “call boy,” and eventually assistant stage manager, stage manager, and actor. Two men, one your boss and mentor, Sir Herbert Beerbohm Tree, one of the greatest actor-producers of the London stage, took an interest in you and helped you to conquer your speech difficulties, which was the first step to preparing you to become an actor. One of them taught you to roll your Rs, which you did for the rest of your life, and also insisted you educate yourself by reading?you had left school in 2nd grade to go to work, to bring in a few pennies to help your family, who so often struggled to eat and keep a roof over their heads. Early on, you were caught stealing change from an actor’s pockets, and fired. You took the money because you were so hungry, but when you were fired and had to return to school, when your mother wept and your old man beat you repeatedly for it, you felt the shame in your bones and swore never to steal again. A few months later, you got a job at another theater, and your career resumed. You were such a little boy to be so stoic in the face of your father’s frequent beatings. You never cried. But that’s not uncommon with abused children, they learn not to flinch, they won’t give the abuser the satisfaction. Skal writes that Frederick used to beat you in the garden shed, Emily’s face floating agonized in the window of the flat. So small, but with the spark of the ferocity that would eventually find its way into your acting. There is something so moving about you and a few other incredibly gifted actors who survived childhoods of Dickensian deprivation and loneliness?Cary Grant, Charles Chaplin, and Barbara Stanwyck?children who were largely left on your own to scavenge and somehow, miraculously, survive. Among this small group, you are alone in having had both parents, though like Chaplin and Grant, your mother was institutionalized for mental illness. Yours, unlike theirs, returned home, though she would have repeated bouts of illness that took her away from home throughout her life. You traveled so far from that series of flats in neighborhoods that ranged from squalid to genteel poverty. But always, no matter what, Emily kept the steps tidy, brass on the door, and a paper fan on the fireplace. When there was enough money, your father would invite colleagues to dinner, and at its conclusion your mother would always ask, “Would anyone like some cheese?” Then your family all held their breath. Fortunately, no one ever wanted any, because there was none?the cheese course was out of reach at the family’s best of times, but your mother’s sense of propriety drove her to ask. Maybe it was partly that yearning for something nicer, which you had in common with her, that drove you so far. Frederick came from a prosperous family, and you never forgot a visit to one of his relatives in the country, and later in life, when you were successful and well-to-do yourself, you bought yourself a farm in Pennsylvania where you enjoyed country life to the hilt. You came so far. At first, when you were what, 10, 11? ?it was the long commute from the family current flat to the West End, an hour or more each way. Then as you grew a little older and rose in your profession, you began to tour with productions, and by your mid-teens you had traveled around England and Ireland, and then to Berlin. A little later, in the early 1910s, you came to America for the first time as advance man for another production. By your mid-20s you had traveled widely and become a respected member of your profession. During WWI, after that service-ending gas attack that took 90 percent of the sight in your right eye and gave your voice its distinctive rough undertone [sigh], you returned to London determined not to go back to the theater (after life at the front as a sharpshooter, the theater seemed “sissy”), it took a single lunch with colleagues to entice you back onto the stage. And that’s when your acting career really took off. Reading about the London theater scene of the era, the shows you were in then, working with friends like Noel Coward and Elsa Lanchester, as an acting teacher at the Royal Academy of Dramatic Arts to Gielgud and Laughton, famously…appearing in a number of original productions of Shaw, as well as in avant garde plays?my favorite was The Insect Play, in which both Gielgud and Lanchester appeared, four episodes in which actors played butterflies, warrior ants, and other six-legged crawlies. It sounds like such an exciting scene, so much fresh creative energy and talent. But as the professional triumphs began to accumulate, as you began to make enough money to subsidize your family and to dress elegantly, you also began to accumulate romantic disasters. You said toward the end of your life that you had loved a lot of women, but only one had loved you back. Is that one of the stories of your life that you told yourself? It’s heartbreaking. You were ill, grieving the loss of your Rosemary, your last wife, presumably the one who had loved you back. You married six times, for periods ranging from months to 21 years. The first marriage was undone, perhaps, by World War I, which took you away from your actress bride. After returning from the military hospital to London, you caught her in the arms of another soldier, whom she subsequently married, but she seems not to have lost her yen for you. Let’s face it: You have It. Had you been a few inches taller you might not have become a character actor until later in life; being 5’6″ sealed your fate. But the lack of height didn’t read as a lack of stature, as you discovered as a call boy observing a successful actor who was not physically imposing. You saw that his excellent posture and confidence overcame actual measurements. And just as you practiced to overcome your speech impediments and accent, you practiced carrying yourself with authority. You created a container for your larger-than-life self, for your wit, your intelligence, your ardor. As I’ve seen written repeatedly, you are able to cut a man to bits just by slightly raising your right eyebrow. You set hearts a-flutter for decades. Matter of fact, my dear sir, you are still doing it today, 51 years after you left us. Bette Davis was in love with you. 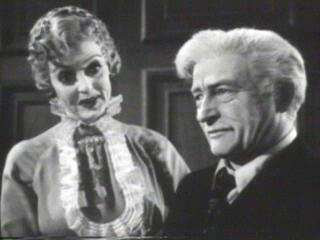 Shortly after your death in 1967, she told your daughter?gushed, really?about you as both actor and man. She said you had brought your wife and daughter to the set of Mr Skeffington?to keep her in line, and that she bet your dressing room / trailer was as busy with lady callers as Grand Central Station. That she would have loved to get you drunk… I mean, dayum, Bette, why don’t you tell us how you really feel? Anyway, I hope you will forgive me for bringing up such personal matters when we just met, but…with a world full of women who adore you, how on Earth did you wind up marrying five who didn’t love you back? Or did some of them love you, but you couldn’t see it because you believed they didn’t or couldn’t? What I’m asking, Dr. Jaquith, is if the sad story is that women did not love you, which we know is not true, or that you repeatedly managed to marry women who did not love you, which is possible, or that you were so convinced that they could not love you that you were unable to perceive that they did? Reading about your jealousy at your first and second wife’s betrayals, pounding on the door of your flat when you heard another man’s voice inside, I think of Alex Sebastian in Notorious, realizing ?that the beautiful wife he adores is a spy who is not only betraying his love, she very well may get him killed. And of Job Skeffington, surely the epitome of unrequited love, married to a woman whose vanity renders her incapable of loving anyone until her looks are gone: maybe the power of your extraordinary performance is partly generated by your own pervasive sense of not being loved back. We all have these stories about ourselves, whether we are aware of them or not. We live by them. They have real consequences in the choices we make, how we interpret the contours of our lives. And for the artists among us, like you, they are origin stories, potent emotional fuel that inform and drive your work. So on the one hand, I hate to think you believed yourself not loved back when a world of women love you still, and on the other, maybe if you did believe it, it helped drove your absolutely incredible work, and that is no small thing. Anyway, look at the time, I better wrap this up. But I want to thank you for your beautiful work, for all the pleasure you have brought me in my long, obsessive movie watching life. It’s been wonderful to have this blogathon as an excuse to spend so much time with you, watching your films, reading about your life, speculating about your inner life. At the age of 129, your work still speaks to us, and thanks to film, the only time machine we will ever have, you are still racking up female conquests. May our love reach you. May you, at long last, know fully and deeply, that we love you back. 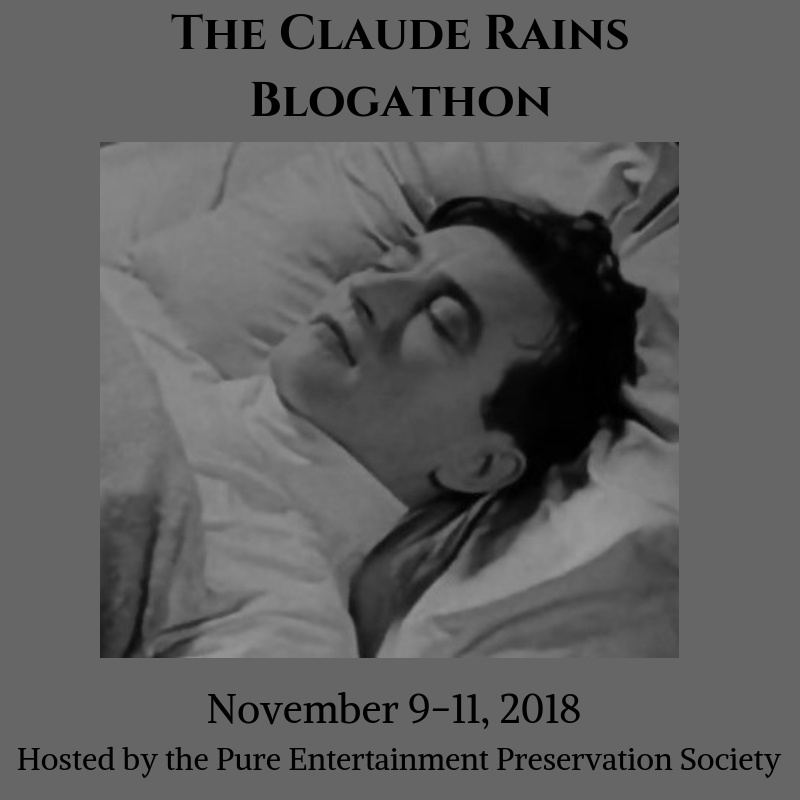 This post was written for The Claude Rains Blogathon, hosted by Pure Entertainment Preservation Society. Head on over and check out the other swell entries. 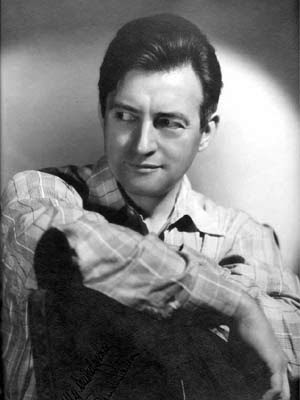 This is a beautiful, beautiful tribute to the fab Claude Rains. You made me a little weepy when describing his childhood. Nicely done, you! What an absolutely lovely and eloquent post. I suspect Mr. Rains very much wishes he’d met you while he was still living. Great blog. I think the mention of Cary Grant is interesting. Both Grant and Rains seem to me to be so aware of their presence in screen that they become magnetic even when doing nothing. Notorious is like a dance. Ooo, like a dance. I like that. I hadn’t thought of contrasting Rains and Grant until you said it, but given their backgrounds and incredible self-invention, to rise as they did from terrible poverty to become international stars, it’s worth thinking about. Also, and this is no longer a novel idea, Grant was an excellent actor with incredible range, equally at home in comedy and drama. Sometimes I think that gets lost because he’s so danged handsome. I suppose Rains’ height made being cast as romantic leads impossible, but I’m not the only person I know who finds him very attractive. 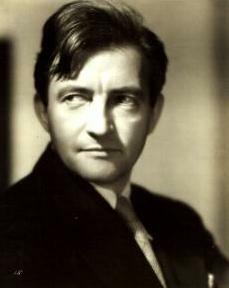 I’ve always thought of Claude Rains as a Star with a capital S but reading your piece made me realize that he was, in fact, almost never a leading man. His presence always provided a Star quality, transcending his roles as a character actor. 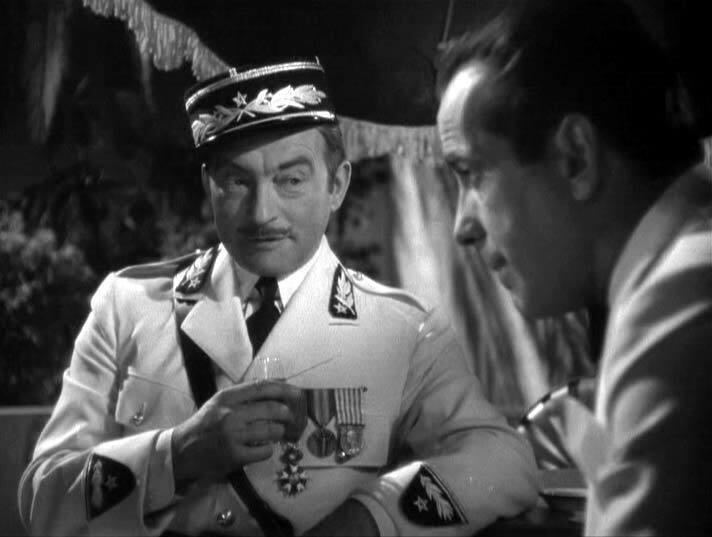 It’s hard to imagine anyone else playing the corrupt, licentious Captain Renault in a manner in which we , perhaps unconsciously, overlook all his faults and believe his turnabout in that ending that is the perfect denouement to Rick’s sacrifice. Apologies for taking so long to approve your comment; I just saw it…. Agree re Rains/Renault. Peter Lorre once remarked that he was one of a small group of actors?I think he included Rains?who could shift instantly from threatening to funny, or lighthearted to melancholy, seamlessly. It’s one of the marks of great acting, that ability to hit more than one note, even simultaneously.